Browse our hair transplant before and after pictures to see the Truly Astounding Natural Results Alvi Armani can deliver! Jonathan Gershon - Google 5 Star Review: Alvi Armani is the Picasso of what artistry is to a Perfecto,natural,life changing of a hair transplant.Dr Baubac will sit patiently with lots of care and attention to discuss what is the best plan for your individual needs and what you'd like to personally accomplish. Dr Baubac has a very specific eye for detail and is a mastermind when he explains and shows you the natural hairline he will create or where to fill in the specific areas. The Doctor and staff are all rockstars!!!!. The staff will also tend to your personal needs and help you with any questions. I had my hair done and I'm stoked of how it came out. Im more confident and I can finally slick all my hair back cuz every girls crazy about a sharped dressed man.. I promise you ,you won't be unhappy with the results . Its look so natural because its your own hair.So go and make your appointment for a consultation with the doctor and start your journey of a new you. Simon Dorey - Google 5 Star Review: It has been 6 years since my first procedure and 12 months since my last, and I am extremely happy! I could have had my procedure with a company down the road from me in Manchester UK, but I chose to fly to Dubai & LA because, quite simply, they are the best! Their care and attention is outstanding, and being 6000 miles away from my home each time, I really felt welcomed and taken care of, and this was exactly what I needed. It's always nerve racking when you do anything like this, and you really don't know what the outcome will be, but judging from my experience, the team at Alvi Armani will do everything in their power to ensure you have a great result. I also feel honoured that I am featured on the home page of their website. This is a big decision for anyone, and to this I would say, please don't worry, you will be in great hands, they are fantastic! John Abbruzzese - Google 5 Star Review: I expected Alvi Armani to offer first class hair restoration but never expected the first class, warm, and personal way they treated me. From the people at the front desk to the assistants in the operating room, to Dr. Baubac himself: everyone demonstrated the highest level of technical mastery alongside an almost familial care and concern. Dr. Baubac himself deserves special note. His deep understanding of the ethnic variations of hairlines and his grasp of the aesthetics of hair design are just amazing. And, for all his technical expertise, he is completely humble and completely in service of his patient. (I wish I had a primary care physician with such commitment and concern!) From the first few minutes of our phone consultation, I trusted him completely and I am so deeply grateful that I did. Bryan Volpendesta - Google 5 star Review: 5 stars and first class comfort all the way! Before the surgery, during the surgery and the months to follow during recovery and growth, Alvi Armani is there for you. Alvi Armani is the way to go and I can say that with total confidence! I am SO happy with my results and SO happy I chose to go with Alvi Armani, they are truly second to none. 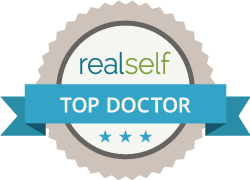 Dr. Baubac provided me with services that exceeded my expectations every step of the way. It is my pleasure to recommend him and his entire team on the basis of their skill, professionalism, and attentive care throughout the entire process.- L.L. See for yourself what our patients thought of their procedure at Alvi Armani. Browse through personal blog sites where patients post their own before and after photos and document their experience - from their first steps in researching hair loss restoration, to their final results. Can I Wear My Hair Short After A Hair Transplant? A common question from patients contemplating hair transplant surgery is "Can I wear my hair short after a hair transplant?" Well the good news at Alvi Armani is a resounding "YES!" See before and afters from ALL angles. Spencer Kobren, Founder and Host of THEBALDTRUTH.COM speaks with IAHRS member, Dr. Baubac Hayatdavoudi concerning his philosophy on why graft dissection and extraction play a much more vital role in the final results. Bryan is an athletic, active School Teacher. He had a FUE Hair Transplant performed by Dr. Baubac in our Beverly Hills, Los Angeles, CA facility. Dr. Baubac performed 3,058 grafts in 1 session to areas 1-3 in the front. Call 866.607.6220 to Schedule Your Complimentary Hair Loss Consultation.